Commercial building owners have a lot to handle and triaging competing needs is difficult. An issue that always tops the lengthy list of priorities? An outbreak of toxic mold. More than unsightly, mold triggers a host of unpleasant problems. It harms building occupants’ health, rapidly degrades building materials, creates unsafe structural conditions, spreads rapidly and can spiral into long, expensive legal cases. Set up a schedule for regular mold assessments. Look for leaks and check around landscaping that may obscure mold growth. Inspect and perform regular maintenance on piping, appliances that contain moisture or use water, HVAC units and cooling towers. 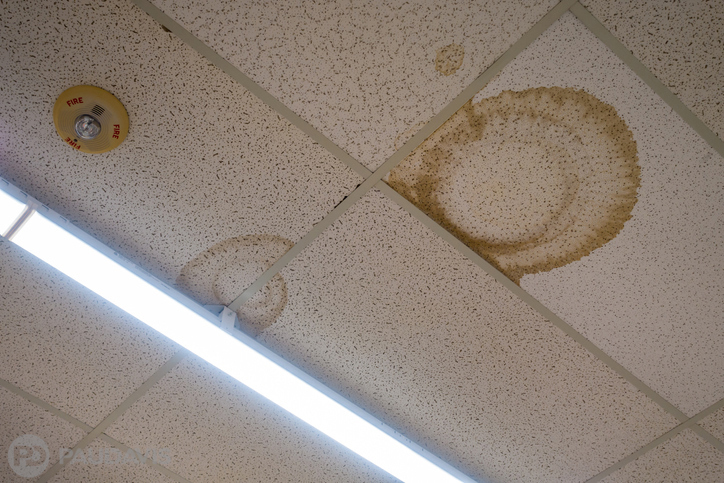 Require tenants to promptly advise building management of moisture or mold issues. Address moisture problems immediately. Delay provides opportunity for mold to grow. Clean HVAC vents regularly and ensure airflow is unobstructed. Inhibit mold growth by keeping humidity in the 30-50% range. Throughout North America, Paul Davis brings a team of experts to make the mold treatment and removal process thorough and complete. When mold has infected your commercial property, this is no time for second best® .